Alan Fitzpatrick has been flying the UK techno flag for some time now. A true gentleman, he's equally adept at rocking small rooms and festival main stages, working a crowd of thousands or something a little more intimate. 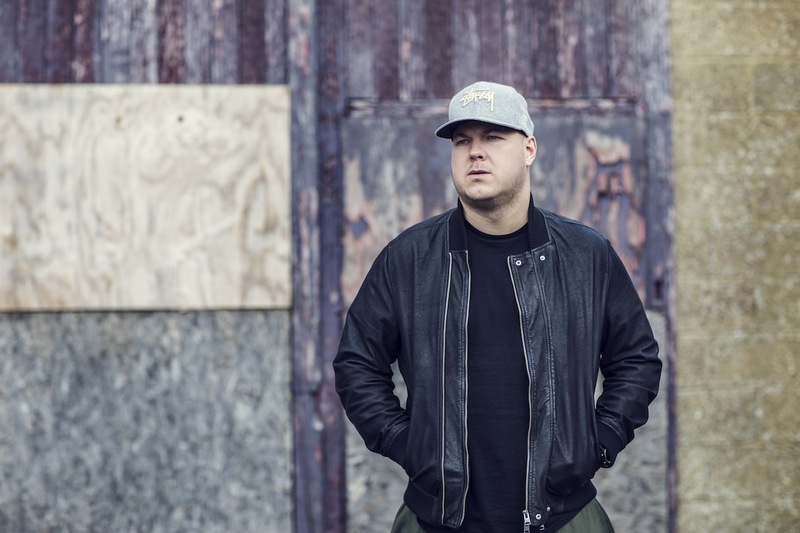 Continually at the cutting edge while never divorcing himself from techno's broad spread, Alan Fitzpatrick is currently rooting through his record boxes for another hectic summer. His first stop is Croatia's Hideout Festival, a dance redoubt and a true highlight for thousands upon thousands of fans. In March 2017 I organised a three-date House Party Tour where I would turn up to houses of fans to put on a rave in their front rooms or wherever they wanted. We visited Glasgow, Newcastle and Liverpool and had the most insane time. Ten of us riding around in a mini bus, playing gigs to real fans, day after day, all during the week. It felt more like being in a band than being a DJ and it all felt so fresh and new. I got invited to Kazantip Festival in 2013 which I was really excited about due to the reputation the event had. Sadly nothing went to plan however with the gig being terrible and worst of all the guy driving me to the airport the next day got arrested for speeding by the police and I was left stranded by the side of the road, in the middle of nowhere, blistering heat and speaking non of the language. Total disaster! Crobar, Buenos Aires - I have just played there at the weekend and this reminded me just how special the place is. The atmosphere is so unique, and the sheer size of the room means the audience creates such a massive energy. Chile is somewhere I have only ever visited twice but every time has been incredible. The first time was a Thursday with no day off for people the next day but still 1000+ turned up and partied hard, which was such a massive surprise. Let’s focus on the positive... Tel Aviv, Israel has some of the best food in my opinion. Roasted cauliflower to die for and endless incredible fresh and tasty dishes. This maybe isn’t strictly someone I’ve “met” but it still kind of blows my mind that Notch aka Markus Persson - the guy who invented and developed the computer game Minecraft - is a fan and has chatted to me on Twitter. This one has to be dedicated to my manager, Rob, who managed to shatter his arm in multiple places after tripping up backstage while I was playing a gig in Liverpool. Mad thing is he reappeared on stage holding his arm but it wasn’t until he let go of his arm to get something out of his pocket that he realised how badly hurt he was as his injured arm just wobbled about with no control! Poor geezer spent the next 12 hours in A&E. Bad one! My iPad and noise cancelling headphones allow me to escape the chaos and pass the time while I am away and travelling. Without these things life on the road would be a lot less bearable. I think from travelling so much myself and observing others while I do so, the biggest mistake most make is to not reduce the stress of the situation by being on time and organised. There is so much that can go wrong when travelling and most of it is out of your own control, but when you see “that guy” running through the airport, late for his check in, and delaying everyone else while he digs out his passport from the bottom of his bag and has to undress from his multi-layered out fit and huge boots, then you do wonder what if any thought has gone into preparing for his trip. Hideout festival runs between June 25th - 28th.